Erebus is a nation led by ❍ Mars on the continent of Europe. Erebus's government is a Anarchy with very libertarian social policies. Economically, Erebus favors left wing policies. The official currency of Erebus is the Orbis Note. At 214 days old, Erebus is an old nation. Erebus has a population of 1,538,528 and a land area of 20,970.00 sq. miles. This gives it a national average population density of 73.37. Pollution in the nation is almost non-existent. The citizens' faith in the government is at an all-time high with an approval rating of 100%. 04/16 08:18 am - Erebus had war declared by Georgian empire for the reason of "All your base are belong to us". 04/11 11:57 am - Erebus declared war on Sodom for the reason of "Arrgh!". 04/09 11:28 am - Erebus declared war on Yakutia for the reason of "arrgh". 04/02 10:55 am - Erebus declared war on Verbrecher for the reason of "Arrgh!". 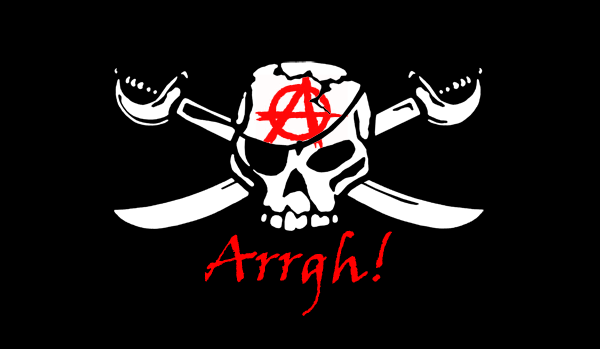 04/02 10:54 am - Erebus declared war on Notacountry for the reason of "Arrgh!". 03/31 12:45 pm - Erebus had war declared by East Etharia for the reason of "Pantheon Counter". 03/31 12:45 pm - Erebus had war declared by FlyingDutchMan for the reason of "Pantheon Counter". 03/31 11:46 am - Erebus declared war on Jorlandia for the reason of "We like taking candy from babies". 03/29 08:09 pm - Erebus declared war on Bharat desam for the reason of "I couldn't come up with anything better than the default". 03/28 04:39 pm - Erebus changed their Color Trade Bloc from Gray to Black. 03/23 02:48 pm - Erebus had war declared by Bharat desam for the reason of "Just need money dude". 03/08 08:54 am - The embargo on Erebus placed by Earth has ended. 03/05 10:29 pm - Erebus changed their Color Trade Bloc from Gray to Black. 02/24 09:56 am - Erebus had war declared by Gardil for the reason of "I have told you before, stop attacking ES members!". 02/24 03:00 am - Erebus declared war on Haryzen for the reason of "Arrgh!". 02/24 02:58 am - Erebus declared war on Euphorian for the reason of "Arrgh!". 02/24 02:56 am - Erebus declared war on Escanor for the reason of "Arrgh!". 02/24 02:54 am - Erebus declared war on Kalmar Republic for the reason of "Arrgh!". 02/24 02:52 am - Erebus declared war on Newly Reformed Roman Empire for the reason of "Arrgh!". 02/22 10:47 am - Erebus changed their Color Trade Bloc from Gray to Black. 02/12 04:59 pm - Erebus had war declared by Northern United States for the reason of "Pantheon Attack". 02/12 01:17 pm - Erebus had war declared by Sautekh-Dynastie for the reason of "Counter". 02/12 01:48 am - Erebus had war declared by The Wildsea for the reason of "You brought this on yourself". 02/12 01:26 am - Erebus declared war on Steel Bottom for the reason of "Arrgh!". 02/12 01:25 am - Erebus declared war on Kyrat for the reason of "Arrgh!". 02/12 01:25 am - Erebus declared war on Thisland for the reason of "Arrgh!". 02/12 01:23 am - Erebus declared war on Verano for the reason of "Arrgh!". 02/12 01:19 am - Erebus declared war on The Red Monarchy for the reason of "Arrgh!". 02/11 12:55 pm - Erebus changed their Color Trade Bloc from Gray to Black.